We finally crossed off another big item from our Wedding-To-Do List, and not a moment too soon. The dudes' attire has been decided. 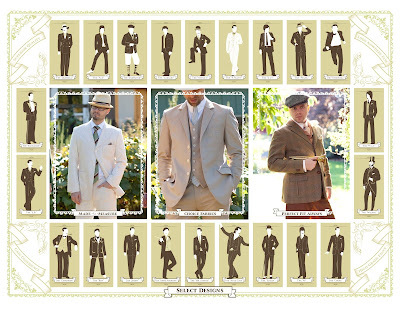 Figuring out what Nathan and the rest of the groomsmen would wear was actually harder than finding my dress. Wedding dresses are easy - narrow down a style, figure out what extras you like, try a bunch on, make a gut decision, and then go out and have a giant veggie burger and a margarita. Dudes? Not so much. We had no idea what kind of jackets people wear, what fabrics are appropriate, what a cummerbund is (okay, maybe that's just me). We also didn't know if Nathan should buy a suit and, if we went that route, how we would coordinate the groomsmen's outfits from so far away (they're spread between New York, Rhode Island, and Texas). One thing was for sure, we decided. Tuxedos were out. We thought they seemed terribly formal, and our wedding was going to be more of a laid back affair. Suits are the way to go, we insisted, even though we had no idea what the difference between a suit and a tux actually was. "Would you like to see our tuxedos?" the saleswoman at Men's Wearhouse asked. "No, no," we said. "Tuxedos are too fancy. We want something more low key." "Just one peek," the saleswoman said. "Fine," we signed, only to appease her. I'm glad we gave in. Turns out, the differences between suits and tuxedos are minor - so minor, that when confronted with both options in the flesh (fabric? ), we couldn't tell them apart. Okay, so tuxedos had some extra trim. They were a little fancier. But they weren't all jet black and James Bond, which is what a tux brings to my mind. We also learned that Men's Wearhouse offers rentals - for just $150, the saleswoman informed us, our dudes could rent a tuxedo, which includes jacket, shirt, pants, tie, vest, shoes, socks, belt, and cufflinks. 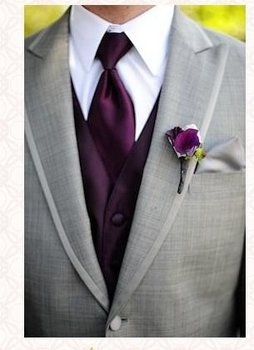 And, because Men's Wearhouse is somehow connected to David's Bridal, they could match the colors of the vests and ties to the dresses the ladies had already picked out. Finally, there are Men's Wearhouses everywhere - not so great when you want to go the local, mom-and-pop route, but very convenient when everyone is so scattered. This seemed like a great solution for our coordination woes. 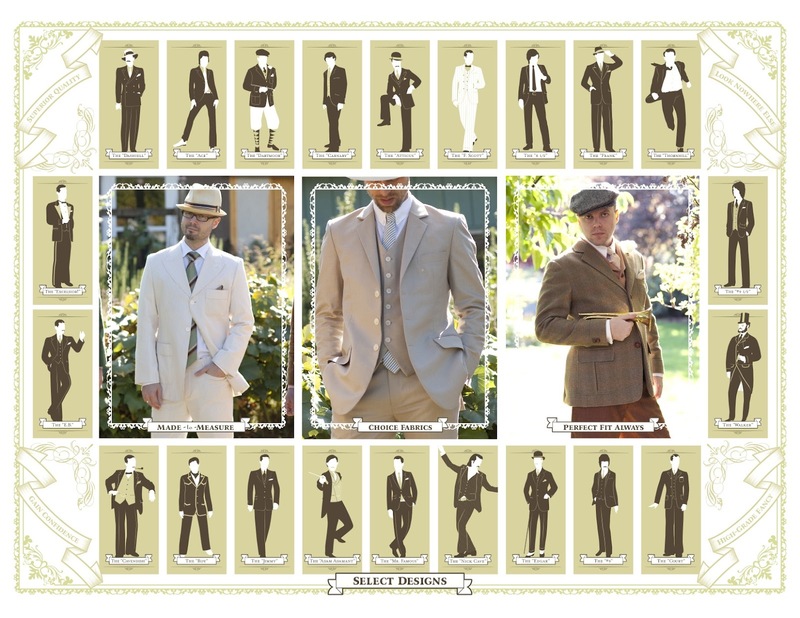 When we finally gave in and looked at the tuxedos, we were surprised to see that they had a variety of colors and styles. We knew we wanted to steer away from black, and that we wanted something simple and modern, yet fancy and wedding-appropriate. Nothing was really jumping out at us, and then we saw this little number hanging on a back wall. Now THAT is a tuxedo. We filled out the paper work, gave the saleswoman the names of all our dudes, and Nathan got fitted right then and there. Now, our dudes have to go to the Men's Wearhouse closest to them, get fitted, and then pick up their tuxedos a few days before the wedding. Nathan and I will return all the tuxedos (and their assorted pieces - hopefully nothing is destroyed during our nuptials) the day after we're finally married. Boom, done. And with that, wedding attire is finished. Now we just need to meet with the caterer, secure the Party Bus, practice making bouquets, and finish the centerpieces. Less than three months to go! Men's Wearhouse didn't give us a discount or any compensation for this review, though I wish they had! Weddings are expensive.